Be the first to share your favorite memory, photo or story of Farrell. This memorial page is dedicated for family, friends and future generations to celebrate the life of their loved one. PEORIA—Farrell Louis Moredock, 76, of Peoria, passed away at 4:12 a.m. Sunday, September 23, 2018 at UnityPoint Health – Methodist. Born May 26, 1942 in Rockport, IN, a son of Ulysses and Minnie Miles. 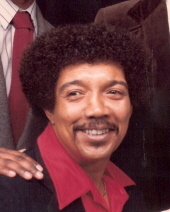 A loving husband, father and grandfather, he is survived by his wife, Nancy of Peoria; his three children, Marvin (Stephanie) Moredock of Peoria, Marcia McGhee Moredock of Peoria, Ryan Moredock of Peoria; eight grandchildren, including Marvin Moredock, Jr.; nine great-grandchildren; two brothers, Joseph (Bobbie) Moredock of Crawfordsville, AR, Phillip (Vicitoria ) Moredock of Peoria; two sisters, Joan Randle of Peoria and Rosiland (Danny) Swain of Las Vegas, NV. Farrell worked for Pabst Brewery in Peoria Heights for over 26 years, retiring when the plant closed in 1982. He was a member of the Atomic Jets Motorcycle Club in Peoria. Funeral services will be at 4 p.m. Friday, September 28, 2018 at The Wilton Mortuary where visitation will be one hour before services. The Rev. Don Thompson will officiate. Burial will be in St. Bernard’s Cemetery in Rockport, Indiana. "Email Address" would like to share the life celebration of Farrell Louis Moredock. Click on the "link" to go to share a favorite memory or leave a condolence message for the family.